In some ways, humans are not much more evolved than flies. For one, both people and bugs are attracted to shiny objects. Take Elite Flyers’ foil stamping process for example. It doesn’t matter if you’re a Harvard-educated lawyer or a teenage girl who loves scribbling “I heart One Direction” on your spiral-bound notebooks; shiny foil-stamped business cards are bound to capture and hold your attention more effectively than plain paper business cards any day of the week. Foil stamping is pretty much exactly what it sounds like; we take shiny, thin pieces of silver or gold foil and use intense pressure and some heat to stamp them into your full-color business card. The foil can be cut to any shape, so you can use foil stamping to accentuate any information or graphic you choose. Some of the cooler cards we’ve printed have used foil-stamping to accentuate a name, a logo, or even a pattern that covers the whole card face. The technique adds dimension to your card design, attracts the and hold the eye, and enforces the idea that you pay attention to detail – a good quality in any business person. 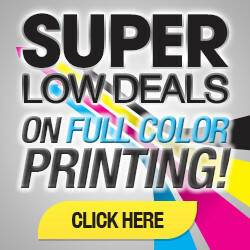 The process Elite Flyers uses to create these unique business cards is of superior quality, and also completely affordable. Foil-stamping is also a popular technique because of the fact that it can be combined with several other awesome print processes, including silk lamination, and spot-UV printing. As we mentioned above, foil stamped business cards can achieve a variety of effects. Among these is the overlay of a pattern on top of a card. This is one of the coolest new design ideas we’ve seen in cards today. Anyone who deals with aesthetics – fashion designers, furniture store owners or salespeople, interior designers, beauticians, and many more – can effectively use this foil process to add shimmer, depth, and a modern flair to their name cards. Some things to consider when choosing to use foil stamping to lay a pattern over the entirety of the business card include making sure that the foil does not interfere with or cover the text of the card. This is probably the trickiest aspect of designing a card in this style. To simplify your job, though, you can choose to do the foil pattern on the reverse side of the card, placing only the company name and the pattern on one side of the card. Then you can place all your vital information – name, position, and contact info – on the other side of the card, either using minimal foil or none at all. 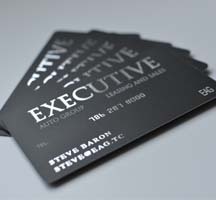 Again, as we touched on above, the images and logos on your business card are also great features to highlight with foil. Metallic gold or silver foil attracts light and your recipient’s eye, so it’s a good idea to exploit this truth to draw his attention to the elements of your card that define your brand. 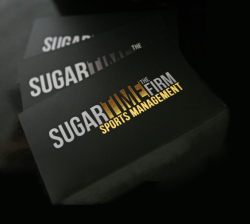 When you choose foil-stamped business cards the next time you print your cards, you are ensuring that you end up with a card that sets you, your company, and your service apart in high style that will inspire potential customers to follow up with you. Foil stamping gives a lot of appeal for a minimal cost. Of course, as you add in premium features to your business card, you can expect to pay a little more, but it’s a one-time (or at least an infrequent) investment you’ll be happy you made every time you proudly reach out your hand and offer your well-designed business card to a new contact. 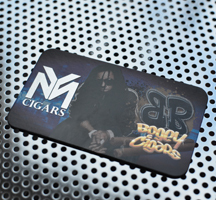 Contact Elite Flyers today for your silver or gold foil stamped business cards.